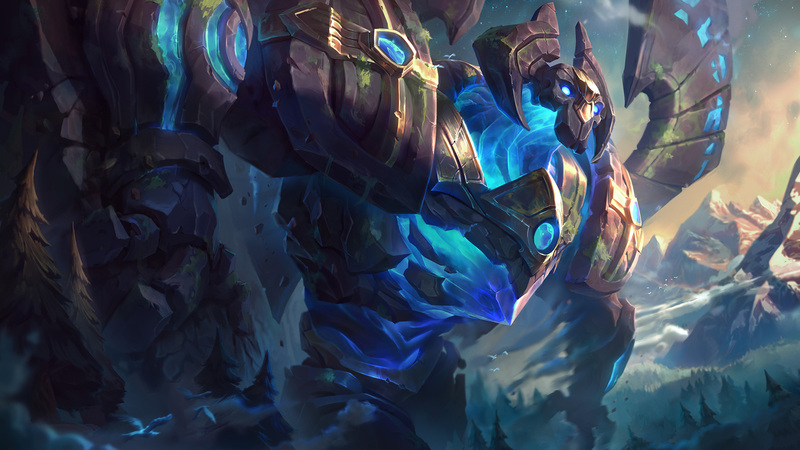 The reveal for Galio's large scope champion update is out has made it's heroic entrance! , including a previews of his new visuals and updated skins, details on his new gameplay and kit, and more! Continue reading for a rundown on his new look, kit, and splashes! 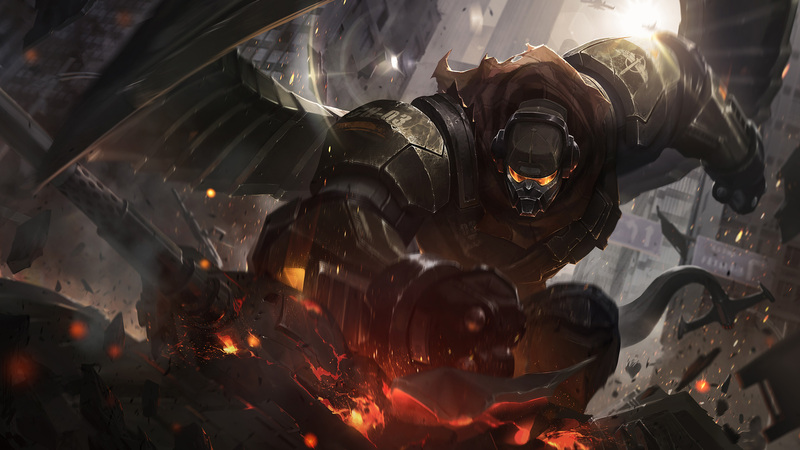 Looming brazen above Demacia's walls, the colossus stands with silent lips. The elders tell of ages past, when the mighty man stirred to defend the huddled masses. Many doubt these legends. But—like imprisoned lightning—the colossus is waiting. And when he's most needed, he'll stretch his conquering limbs again. 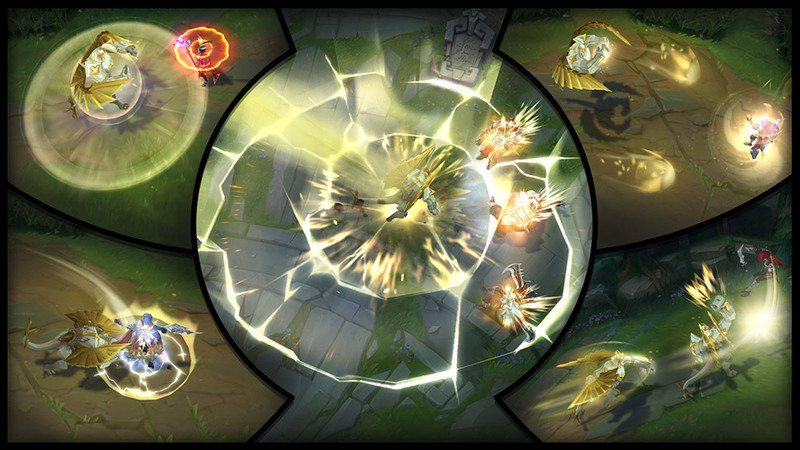 Galio's next basic attack deals bonus magic damage in an area, scaling with his bonus attack damage and magic resist. 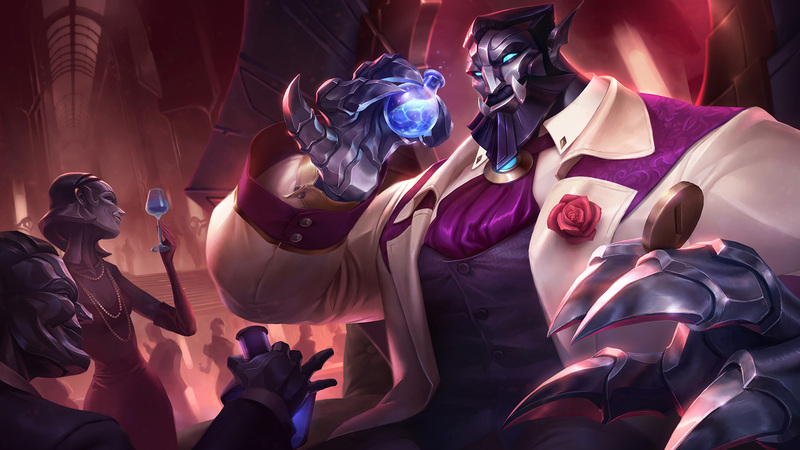 Colossal Smash's cooldown is reduced whenever Galio's spells hit a unique champion (once per spell). Galio fires two gusts of wind that deal magic damage. Where the windblasts converge, a vortex that deals additional damage is formed, including bonus damage based on the target's max health. 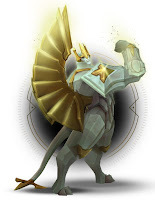 If Galio avoids taking damage for a moderate period, he gains a shield that absorbs magic damage. 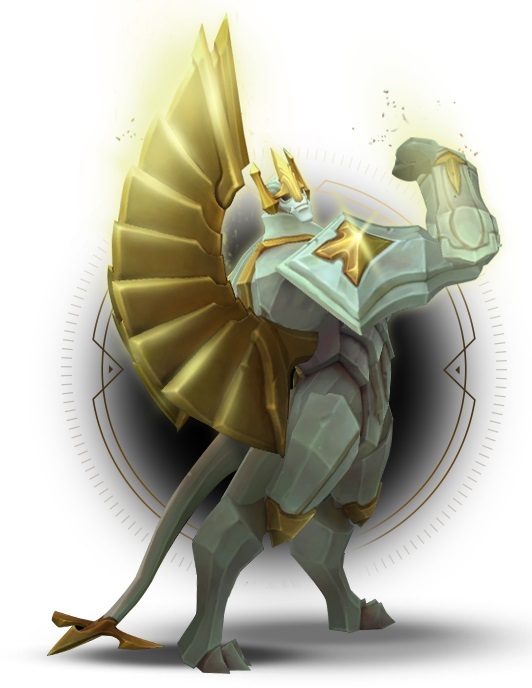 (Hold): Holding down the W key causes Galio to enter a defensive stance, gaining damage reduction but moving significantly slower. This channel can't be interrupted even if Galio gets hit with a crowd-control spell. 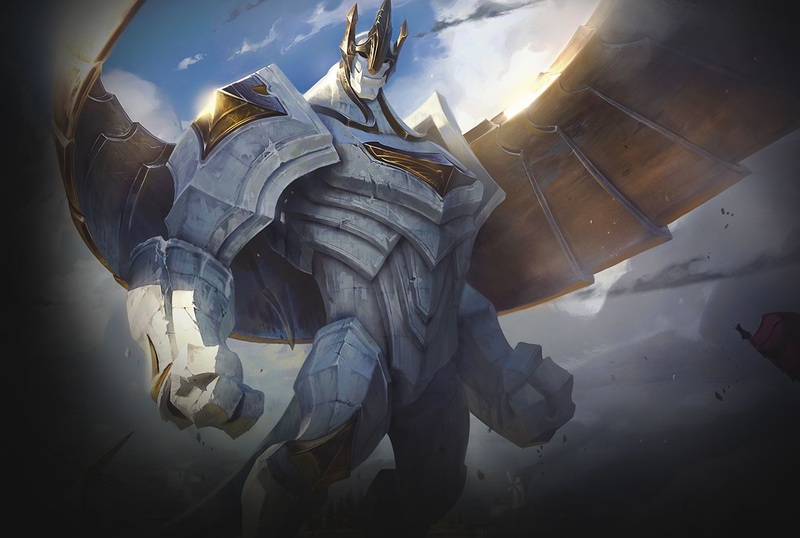 (Release): When W is released, Galio taunts nearby enemy champions. The taunt's range and duration extend based on how long he remained in a defensive stance. Galio hops back to wind up for an epic haymaker. After a brief delay, he charges forward, dealing magic damage to enemies and knocking them up. Galio's charge stops upon colliding with a champion or terrain. 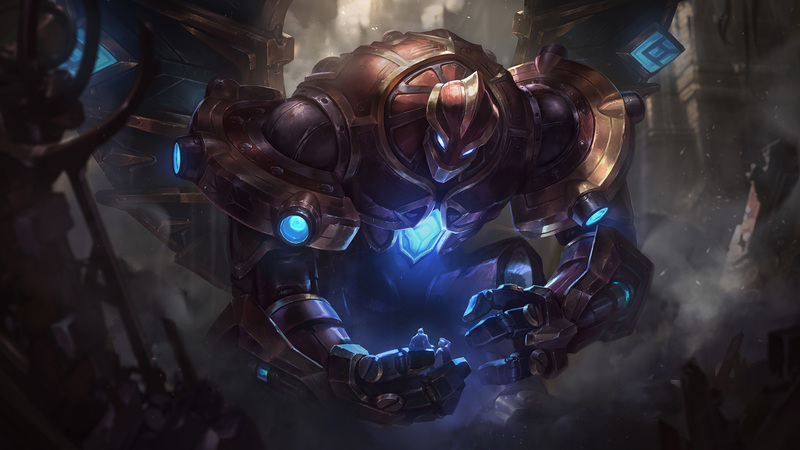 Galio designates an ally's current position as his landing spot, granting them Shield of Durand's damage reduction for a few seconds. He then leaps high into the air, torpedoing to the place his targeted ally was when Galio activated Hero's Entrance. When he lands, he deals magic damage to all enemies in the area and knocks them up. The knockup lasts longer for those in the center of the landing zone. 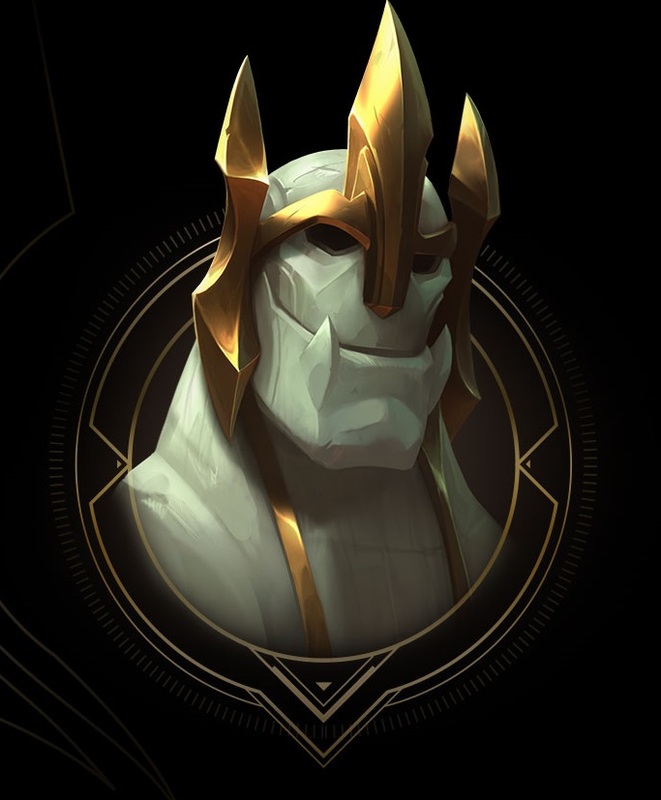 Galio's a stone-cold warden who loves making earth-shattering entrances to teamfights. He's tankier than most magic users; he smashes skulls on the frontlines, grabbing glory for himself with rowdy taunts. 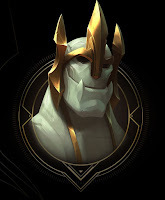 Galio wants to hit you, and he also wants to make you hit him back. It doesn't much matter who's doing the hitting—the living statue just needs to stretch his bulky, long-dormant limbs, preferably by beating up a lot of folks. Early in lane, Galio can blow up minion waves with a whirlwind of area-of-effect damage from his passive, Q, and E abilities. This gives him more time to apply near-global pressure with his ultimate, Hero's Entrance. 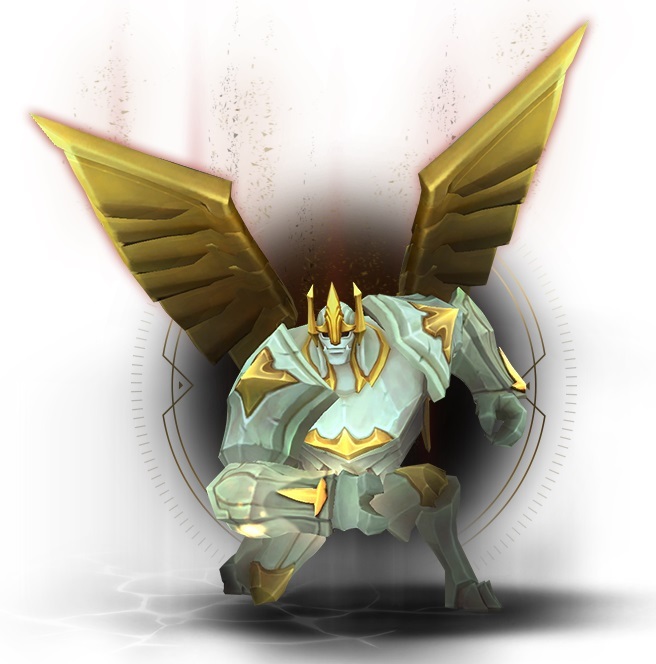 Wise Galio players will keep an eye on their teammates' health bars and look for chances to take to the skies for a daring salvation. Winds of War lets the Colossus blow down enemies from a distance, but the rest of his kit rewards a more intimate, physical approach to combat. Once he's boulders-deep in the brouhaha he can bash everybody at once with empowered basic attacks and Justice Punch. When Galio's buddies close in, he can hold peeps down with Shield of Durand's massive taunt (we put Galio's old ult on his W, xD). Galio's great at starting epic battles, but he's not so great at escaping them. Justice Punch's delayed lunge can be easily body-blocked or dodged, and Hero's Entrance can be canceled by enemy stuns or roots. When the Colossus crashes a party, he's usually in it until the bloody end. 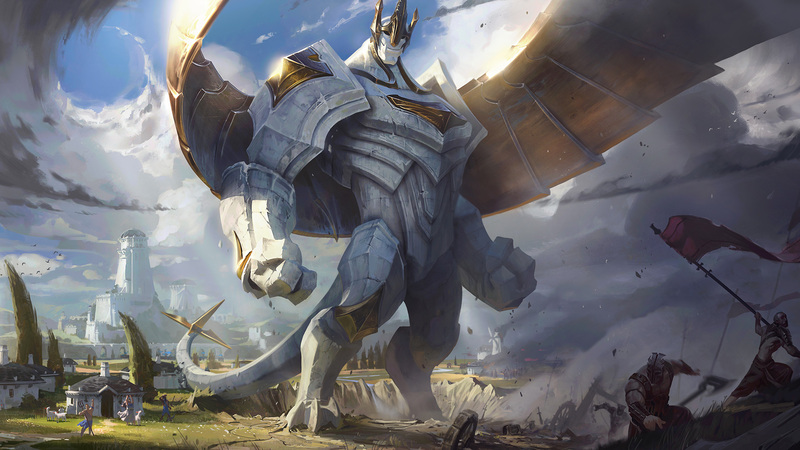 Galio also tends to have a tough time against champs that can match his wave clear and roaming potential, like Aurelion Sol. And although the scrappy sculpture's not as dependant on magic resist items as he was before, he's still at a disadvantage against AD-heavy teams. Abyssal Scepter remains a bread-and-butter item, and it ain't much use against a fed Zed. 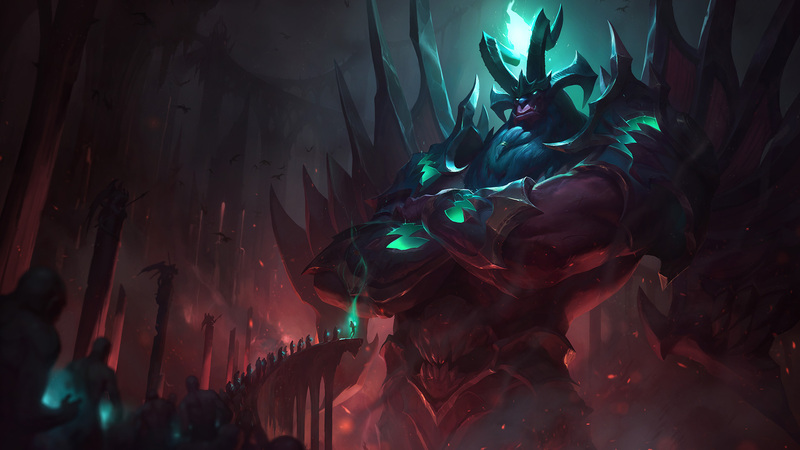 Victor Maury is the artist for the base Galio splash art and he shared process and more on his artstation.